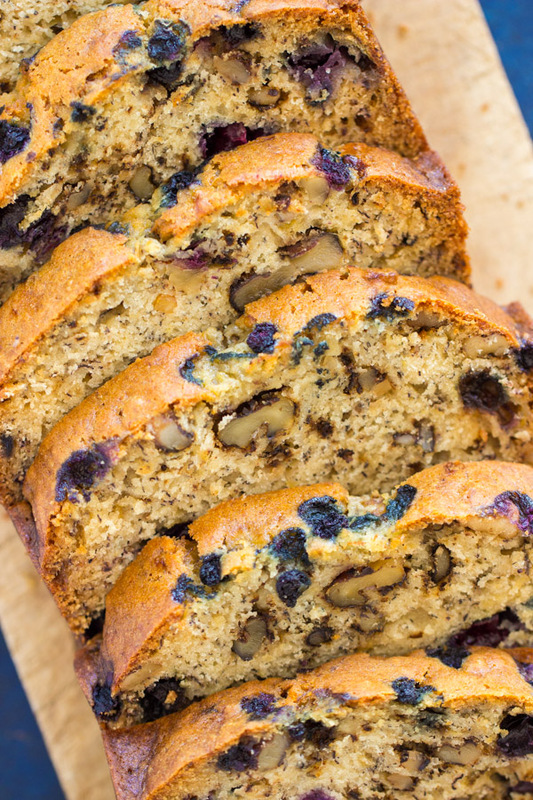 This Blueberry Banana Bread Recipe is strong on banana flavor, ultra-moist, dense, hearty, and bursting with ripe, juicy blueberries. 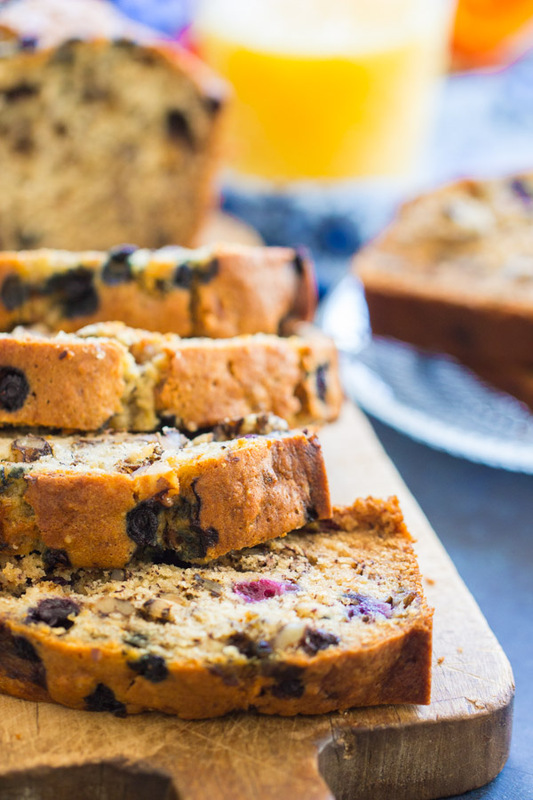 For weekend brunch or a quick snack to take on-the-go, this Blueberry Banana Bread Recipe is simple and fuss-free to whip up, and it makes a seriously gigantic loaf! 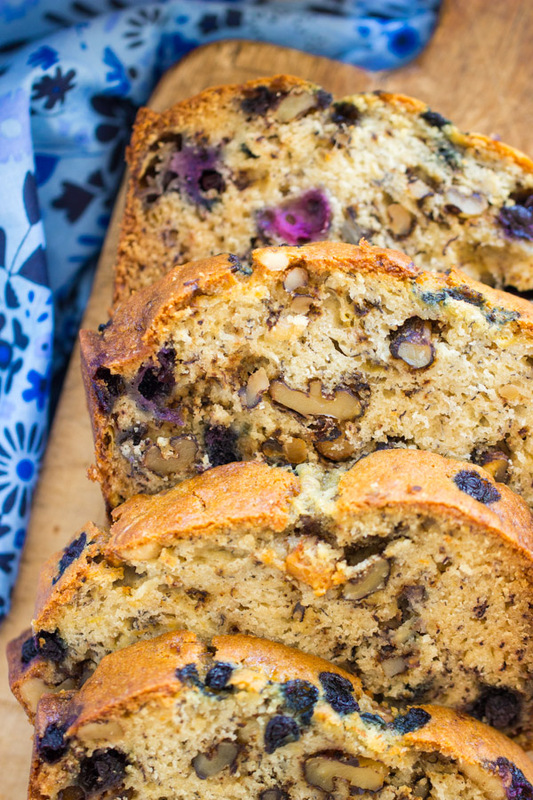 I know, the last thing you need in the world is another banana bread recipe. I hear you, I do. 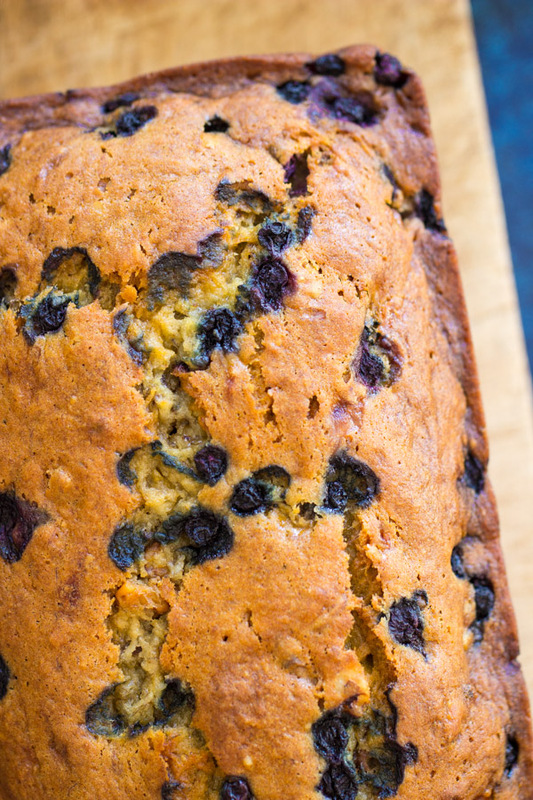 And you probably even have a Blueberry Banana Bread Recipe, or you know that you can take your favorite banana bread recipe and simply add blueberries to it. I get it. 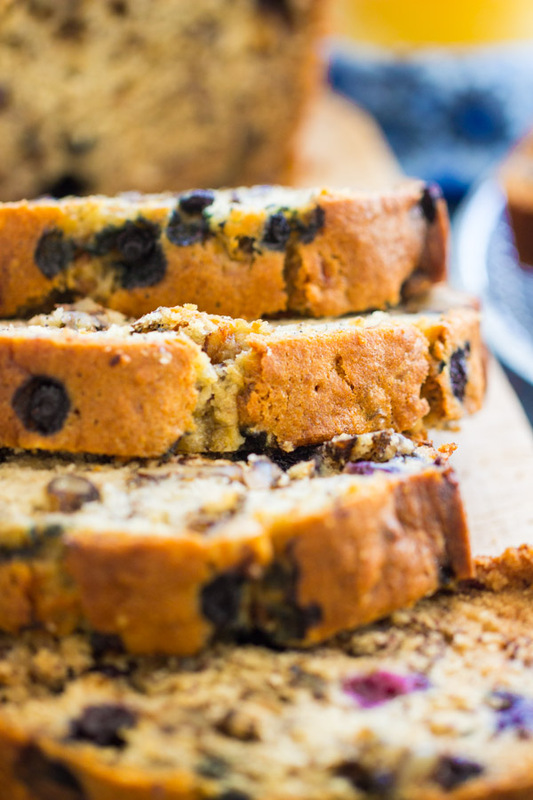 Every blogger has their own favorite, #1 banana bread recipe. 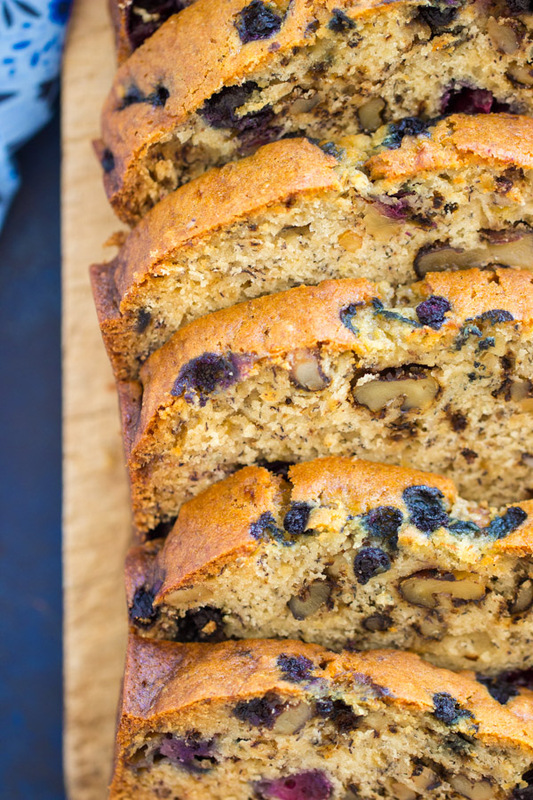 Banana bread recipes are like mascara. There’s a million different versions and formulas, and everyone’s got different preferences around what they want it to do for them. 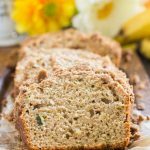 I tried sooo many banana bread recipes, and once I found The One, I really have not strayed from it. I found it in Cosmo magazine, of all places, in 2009. A couple reasons this is hilarious. First of all, it’s Cosmo. Who finds recipes in Cosmo??? Second of all, I am shocked that I was still reading Cosmo in 2009. I can’t remember the last time I picked up that magazine, and I kinda thought I dropped it from my rotation around 2002. I really hope it was an anomaly and that maybe I was reading it at a doctor’s office or something. Last of all, this is hysterical because I Googled it and the Cosmo article was called “Cooking For Your Man.” Isn’t that incredibly cringe-worthy? But you know what’s funny about this too… a few of my Mom’s classic, favorite recipes are from Seventeen magazine. She tore them out of an article called “Baking With a Boy” when she was a teenager. For example, her Chocolate Scotcheroos recipe was from that article, and also her perfect Apple Pie recipe! I guess some things don’t change a whole lot. 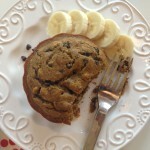 So this is my favorite Banana Bread recipe, for what it’s worth! It makes one ENORMOUS loaf, or you can make two smaller loaves, but the bread is strong on banana, ultra-moist, dense, and with perfect texture. Overall, it’s really flavorful and incredibly moist. 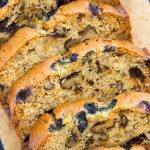 Even if you have a banana bread recipe that you really like, I’d encourage you to branch out and give this Blueberry Banana Bread Recipe a go. 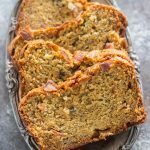 Sometimes you can be in the mood for a different type and style of banana bread, and it’s nice to have different versions on hand. I’ve also seen a lot of banana bread recipes that are surprisingly complicated. 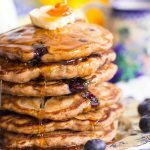 This one is fuss-free and very simple! In a large bowl, whisk together sugar, oil, eggs, and vanilla. Alternately add the dry ingredients and the buttermilk to the wet ingredients. Fold in the mashed bananas, blueberries, and walnuts. Pour batter into a well-greased 9x5-inch loaf pan. Bake at 325 for 50-60 minutes, or until a toothpick inserted near the center comes out clean. Let bread cool in the pan for 10 minutes. Then remove from pan to a wire rack to cool completely. If you love banana recipes, I have many fantastic ones, but a few favorites are: this gorgeous layered Banana Rum Cake. It’s stunning and has two thick, moist layers of cake with cream cheese frosting! 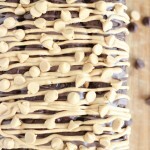 These Peanut Butter Banana Brownies are epic. They’re super tall and the Peanut Butter Frosting is so fluffy and peanut buttery! Elvis Brownies are similar, but include bacon too!! Lastly, I adore this Pumpkin Banana Bread Bread Pudding – even if you don’t make it into bread pudding, you should make the loaf of Pumpkin Banana Bread!